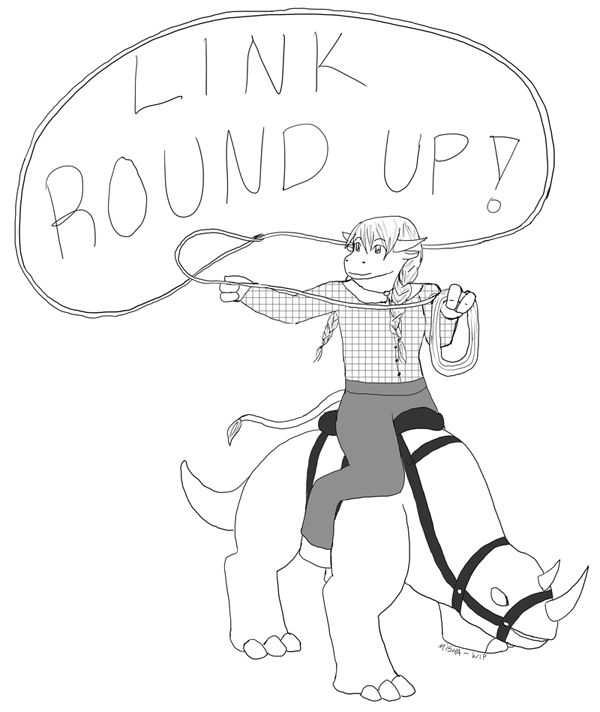 Link Roundups – A Blast From The Past! The past month or so, that is. At any rate, let’s dig in! This time the topics include an epic RP Storyline, some Auction House stories, thoughts on Spending Cash in the cash shop and elsewhere, some thoughts on the Past, Future, and the Present (of WoW). Old Enemies: Demonology 101 — Introduction to Disappearances by Sarcanna de Roux. Old Enemies: Intellect, Reason, and The Self by Order of the Rose’s Hinote. Old Enemies: Trailing Off (Part 1) by Order of the Rose’s Shalia and Hinote. Hopefully there will be more soon! Phat Lewt’s Gold Blog points out that TSM 2.0 is in open beta. I didn’t even know there was a 2.0! I think I’ll stick with the old fashioned TSM for now until more info is out on TSM 2.0, because at least I know how it works! Power Word: Gold gives the rundown on how iLvl jumps work and how you can profit from them. Full of pretty graphs! The Grumpy Elf has some thoughts on WoW, the new cash shop model, and if it will ever go F2P. If Navimie from The Daily Frostwolf was in charge of the WoW Cash Shop, this is what she would add (or remove). And for a slightly different take on how you can spend your money, Cold’s Gold Factory reported way back in July that the most recent WoW TCG expansion has all the loot cards! Maybe it’s time I get back into that hobby? Maaaaybe. WoW Rare Spawns gives us a preview of … well, rare spawns! In 5.4 on the Timeless Isle, apparently. Neat! Herding Cats writes a little on the future (or lack of future) of MMO blogging. Not specifically WoW-related, but this is a blog about an MMO (or two, or three), so it’s a good read for you bloggers out there. Tome of the Ancient prefers the places in Azeroth that haven’t changed. I must say, I’m rather adverse to change as well. But I haven’t even touched most of the Cataclysm leveling zones yet… (not that surprising, knowing my leveling record). Power Word: Gold got a rare drop and asks if you remember a time you got an exceptionally rare item? I know I do; it was a fancy purple ring I got in a Scarlet Monastery run that freezes enemies that attack you. She’s outgrown it, obviously, but I’m pretty sure I’ve kept it in her bank. The Grumpy Elf talks about soloing WoW for the challenge. Is leveling too easy? Not if you forget how to play your class, as Tome of the Ancient helpfully demonstrates. Don’t worry — I’ve done that very thing P L E N T Y of times. Fellow altoholic at That Was an Accident has a goblin problem, I presume much like I have a Tauren problem. Why do you play Warcraft? The Grumpy Elf examines this in a thoughtful post; I agree with many of the sentiments expressed. The Was an Accident! has been having fun in LFR. First, a look at healing LFR without friends, and then going to LFR with friends. Plenty of screenies in these posts too! That’s all for today! Happy gaming, everyone! ← Link Roundups – From Last Month And Beyond! I’m glad I’m not the only one who jumps on an alt and then realizes, hey, I forgot how to play this class! Oops!